Police are seeking the driver of a car which failed to stop after a collision with a teenage girl in Peacehaven. The incident involving the 17-year-old girl happened in South Coast Road, at the junction with Downland Avenue, shortly after 6.30pm on Friday (January 26). 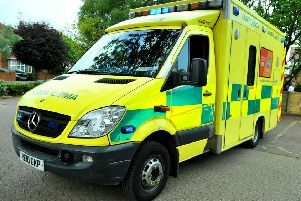 The girl suffered a leg injury for which she was treated at the Royal Sussex County Hospital in Brighton and discharged on the same evening. PC Becky Knight, of the Surrey and Sussex Road Policing Unit at Polegate, said: “We have no description of the car or driver at this time.